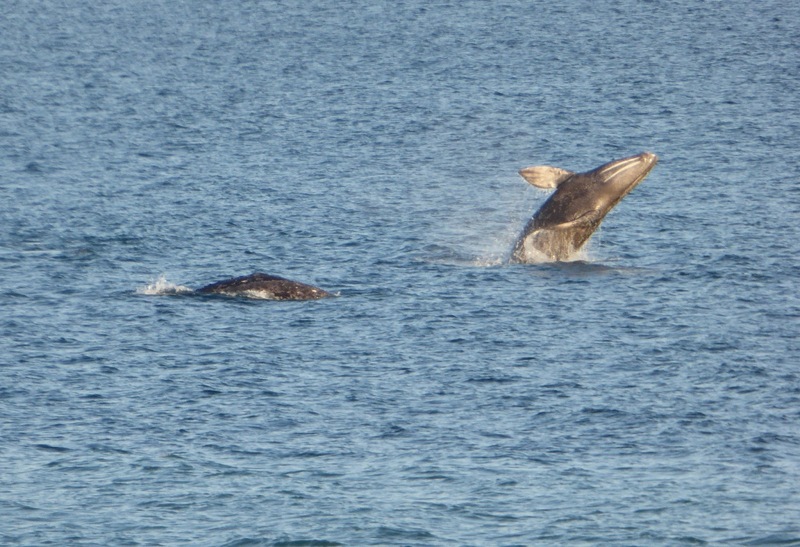 Have you ever seen a whale fly, dear reader? I have. 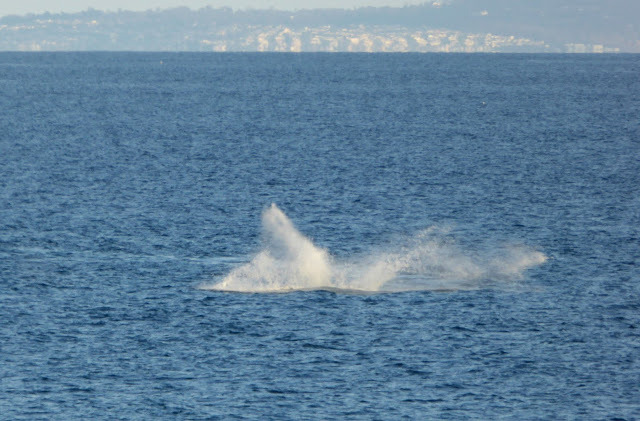 For nearly twenty minutes this evening I watched gray whales leap through the air, splashing back into the sea with an explosion of spray. 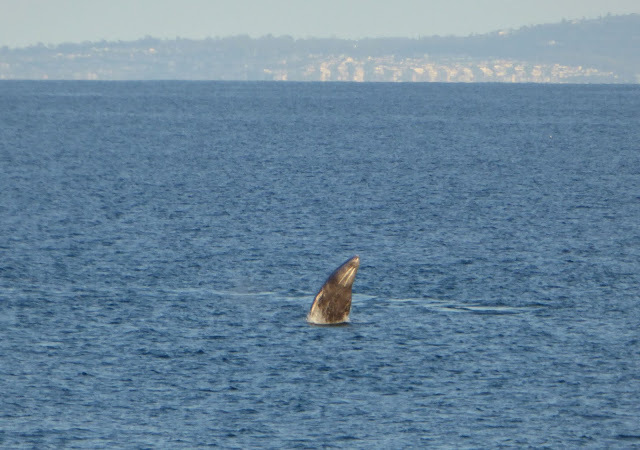 That heart-shaped spout is the most conspicuous sign that gray whales are in the water. 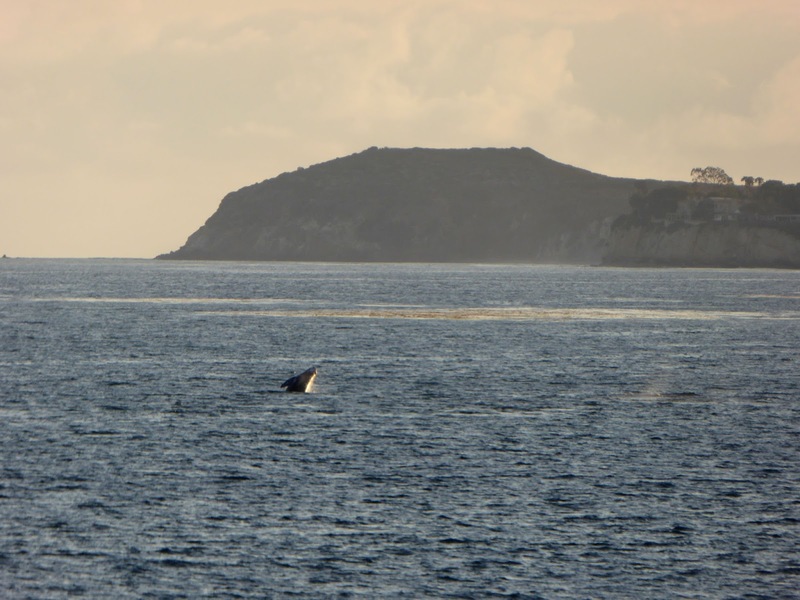 Although, sometimes the best way to spot whales is to look for humans pulled over by the side of the road pointing out to sea with expressions of wonder. 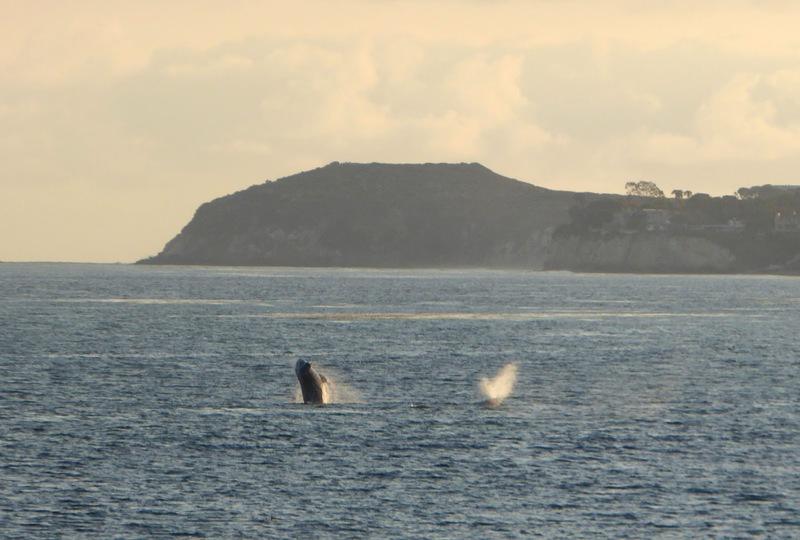 The adventure began with the telltale sight of whale spouts off Corral Beach. 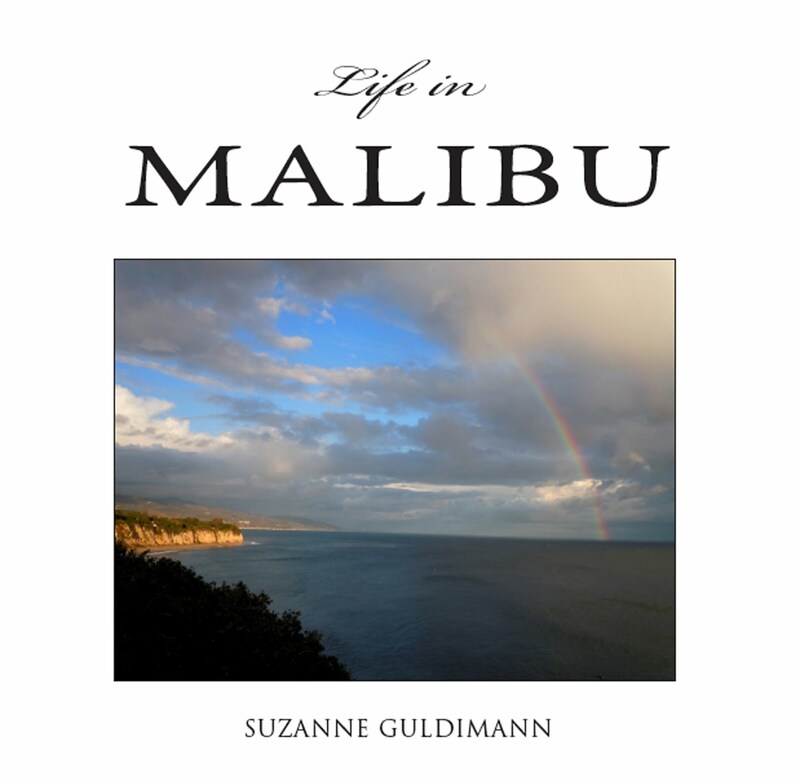 Stopping on Pacific Coast Highway can be a dangerous endeavor, but there wasn't much traffic. I pulled over in the company of four other carloads of spectators and stood sharing the feeling of awe and wonder with a group of strangers I had never seen before and would probably never see again. "Oh, look!" we said to one another. "How beautiful!" "Did you see that?" "Can you believe that?" 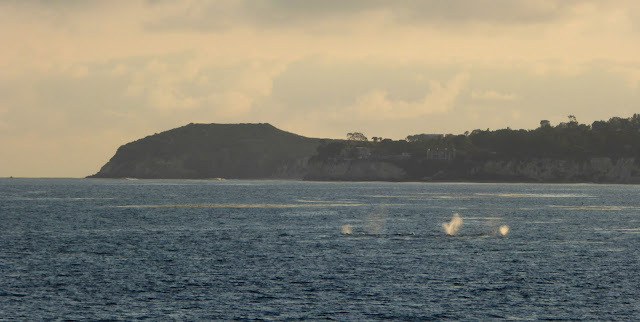 On many occasions I've watched whales steam decorously and determinedly across the bay with just the occasional spout or glimpse of back visible. This group danced and rolled and flapped their tails and flew through the air. 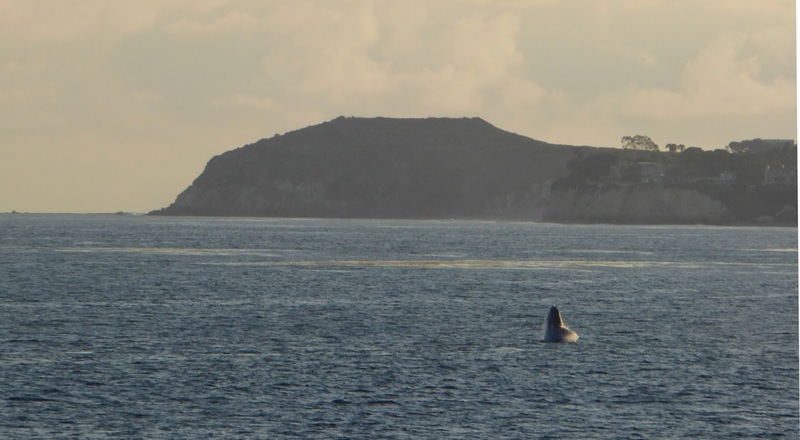 This whale is spyhopping—poking its head out of the water presumable for a look around. How can something that vast be so incredibly graceful? One last breath, and the travelers are on their way again. My companions and I watched the whales until they vanished out of sight, headed toward Point Dume and on the next phase of their epic journey to the arctic seas that are their summer home. 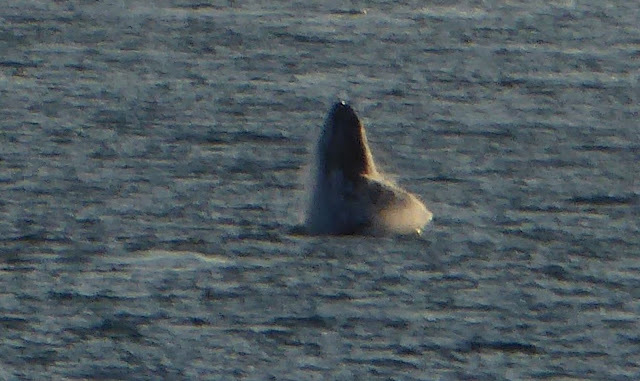 The last heart-shaped spouts caught the light of the setting sun, and then the whales were gone. One by one, their earthbound watchers awoke from the spell, got back into their cars, and drove away, each of us aware that we had witnessed something amazing; whales, flying through the air like birds, or like angels.